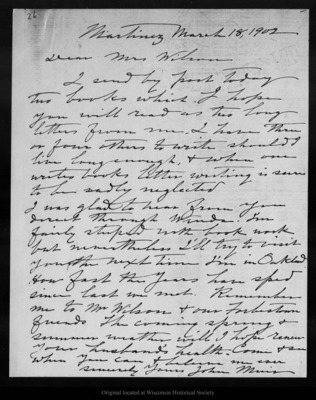 Letter from John Muir to [Emily Pelton] Wilson, 1902 Mar 18. Wisconsin Historical Society. Please contact this institution directly to obtain copies of the images or permission to publish or use them beyond educational purposes.